The Town of Aurora is one of the Top 25 places to live in Canada according to MoneySense Magazine's Best Places to Live 2016 report. Aurora ranked 19 out of 219 cities in Canada, moving up from 30th place in 2015. There is so much to do and see in Aurora. Whether your seeking a new location for your business, looking to settle into a prestigious yet quaint community, or simply aspiring for more balance in your life, Aurora can offer you what you're looking for and more. Just a short 30-minute drive or GO train ride north of Toronto, Aurora is the quintessential location for your family or business. With a unique combination of small town charm and urban amenities, Aurora offers all the advantages of a small city in a scenic, friendly community. Aurora is a bustling community that maintains its "quaint" Town feel, rich in culture and home to many national historical sites such as the Hillary House, the Aurora Cultural Centre (formally known as the Church Street School), Horton Place and the Morrison House. The community features exciting events that include the World's Longest Street Festival, first class recreational complexes, challenging golf courses and exceptional shopping and dining. Aurora is home to over 1,500 businesses, including approximately 150 major industries and head offices. 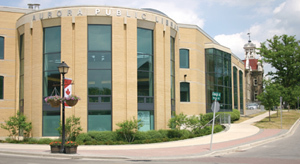 Aurora's strong neighbourhoods, culture, community and business areas make it an ideal place to live, work and play.